The Le Mans Classic is regarded as one of the most prestigious classic car events in the racing calendar. Once again the event lived up to its reputation as we saw a weekend packed full of intense racing on the 6th-8th July. Occurring on a biennial basis the Le Mans Classic showcased a wide range of classic cars from 1923 all the way up to 1979. This year's event was one of the biggest ever. Great weather, larger grids and an increased amount of races were all contributing factors towards recording the highest attendance in the history of the event. 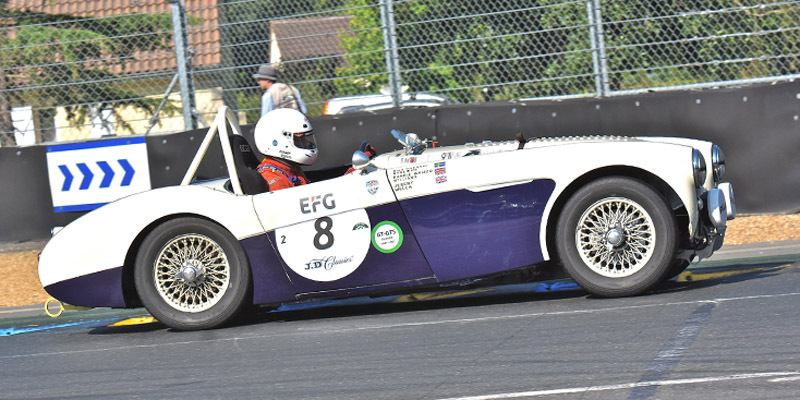 The Le Man Classic race was the main event everyone was looking forward to seeing, with people determined to catch a glimpse of some of their favourite cars from decades of motorsport racing. The race was split up into 6 plateaus, the year of a car dertermined which grid it would line up on, each plateau was then split up in to 3 electrifying 43 minute races. 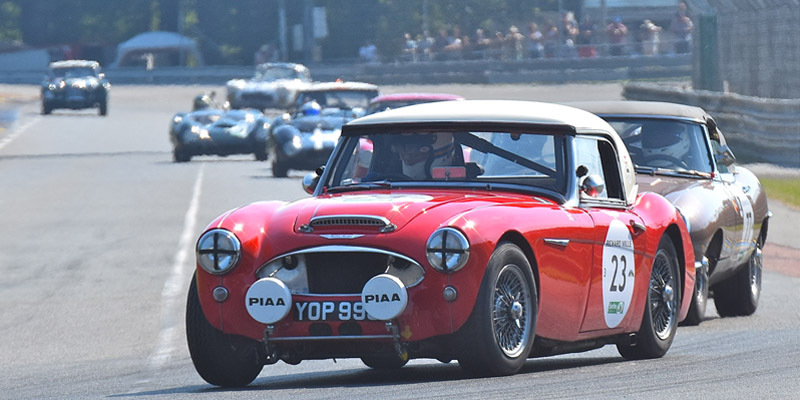 The grid for plateau 2 featured the 1955 Austin Healey 100M NHS 595 which was skilfully driven by Nils Nyblaeus and Jeremy Welch. A series of thrilling performances saw them earn 1st in class and 7th place overall. Two Austin Healey 3000’s supported by Denis Welch Motorsport took to the track for plateau 3. Driving in YOP 999 was again Nils Nyblaeus and Jeremy Welch, securing 1st in the GTS7 class for all 3 races earning them 6th place overall. The success continued for Denis Welch Motorsport with DD 300 driven magnificently by Karsten Le Blanc and Christiaen van Lanschot, who dominated the GTS12 class by winning 1st in class for all 3 races securing 8th place overall. Plateau 4 was the largest race of the weekend with 81 cars from 1962 to 1965 taking their place on the grid. 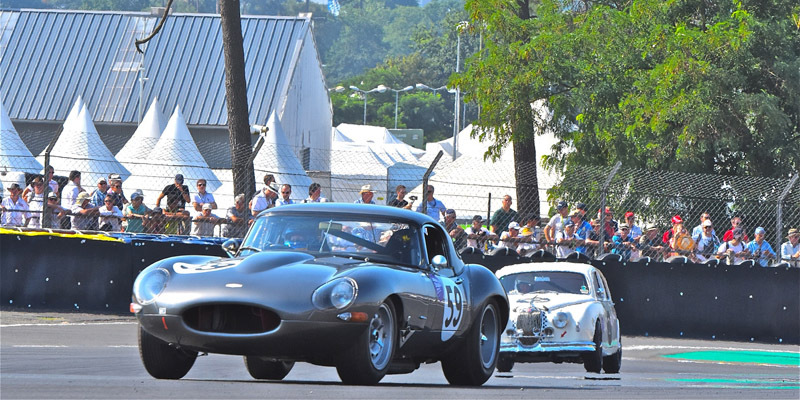 Jean-Marc Rivet-Fusi raced in his Jaguar E-type which had just returned from competing in the Tour Auto. The E-type finished 18th overall in a closely contested race with fellow Frenchman J.P Lajournade, also sporting a Denis Welch Motorsport engine. 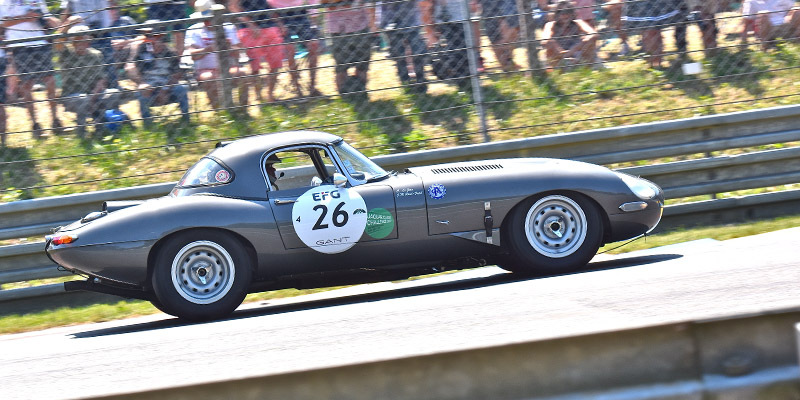 The Jaguar Classic Challenge race series continued at Le Mans as a support race, providing the breath taking racing this series has become notoriously known for. Jean Christophe Berta was driving his newly purchased Jaguar E-type 965 FPJ 92, he took to the grid packed with 55 other classic cars from Jaguars rich racing history. Jean Christophe snatched 13th place overall in a very competitive race.